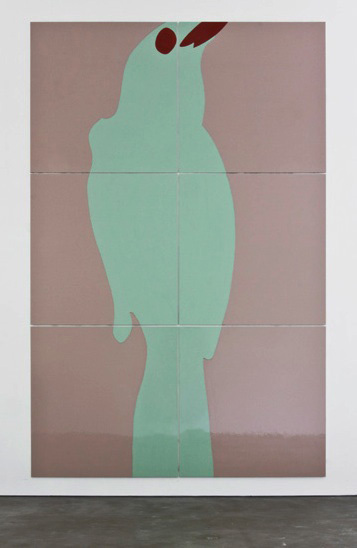 Gary Hume, Big Bird, 2009. 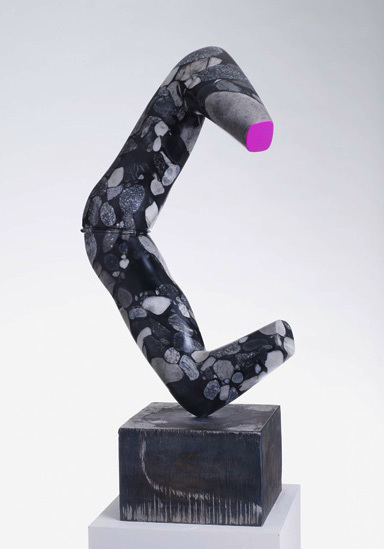 All images courtesy of Sprueth Magers. 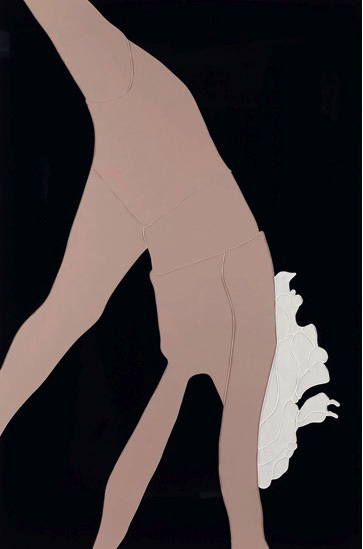 Gary Hume’s first solo exhibition in Berlin in over 15 years is currently on view at Sprueth Magers. The show consists of a selection of new works, including Big Bird (2010), a major large-scale six-panel painting, in addition to a group of six paintings, four sculptures and five works on paper. 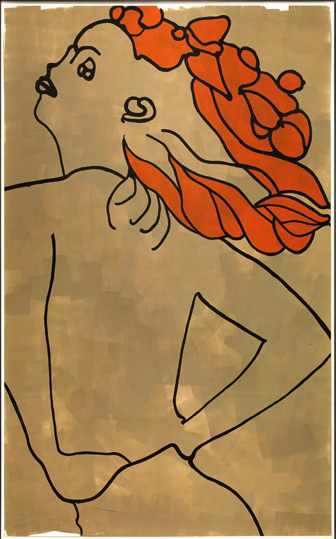 Painted in Hume’s trademark bright palate, the series of six paintings relate to his earlier American Tan series which explored cheerleaders as an emblem of American society. Elegantly simplistic in appearance, yet endlessly complex in its meaning, Hume’s imagery conveys a potent sense of discontinuity at the heart of representations of beauty. 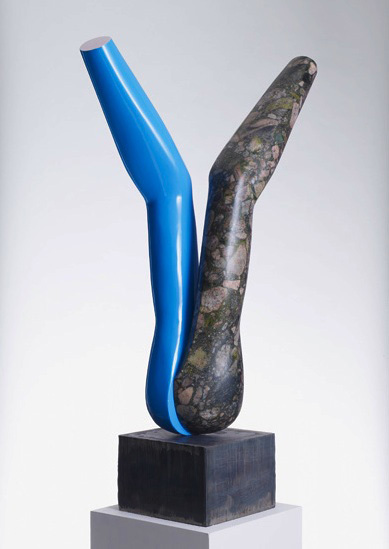 Hume attended Goldsmith’s College in London, and is strongly connected with the Young British Artists group who came to prominence in the 1990s. 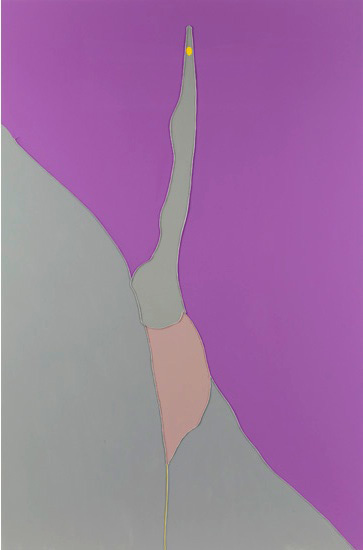 Hume’s paintings are often distinguished by a bright palette, reduced imagery, simplified forms, and a somewhat melancholic beauty. 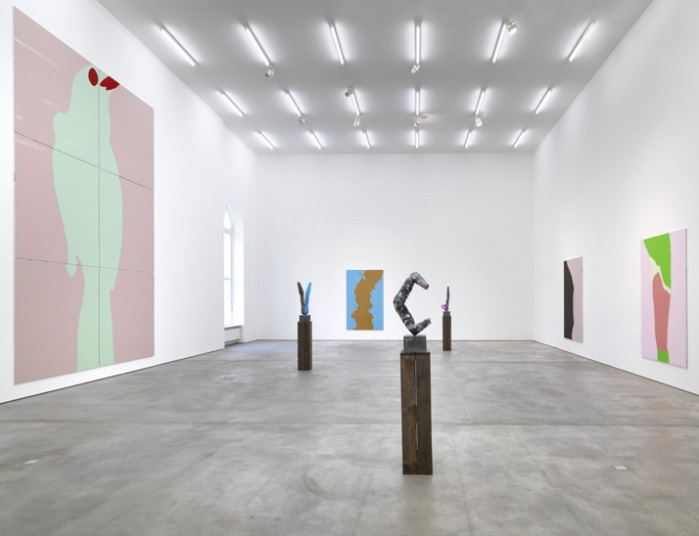 Hume first garnered acclaim with his ‘Door’ paintings, life size representations of hospital doors recreated with premixed gloss paint bought from a hardware store. 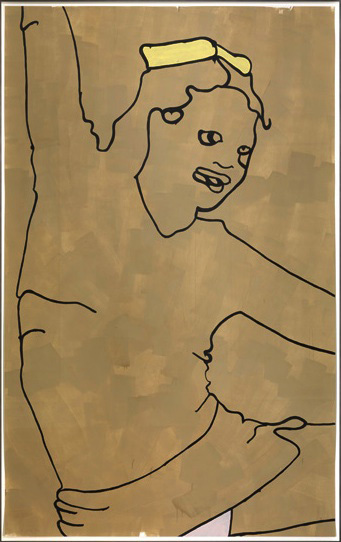 These paintings attracted the attention of collector Charles Saatchi, who included them in the 1997 exhibition Sensation, a controversial show which visited London, Berlin and New York. 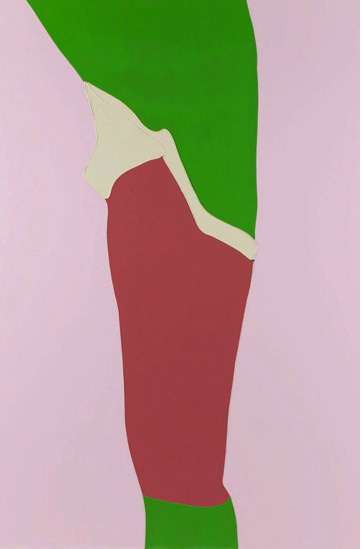 Gary Hume was born in Kent in 1962 and lives and works in London and Upstate New York, USA. 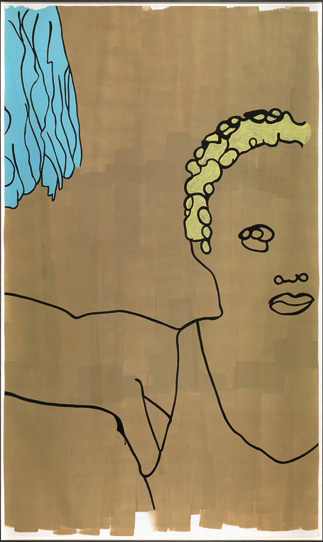 Hume represented Britain at the Venice Biennale in 1999 and the Bienal de São Paulo in 1996, the same year he was nominated for the Turner Prize. Solo shows include São Paulo Bienal (1996), Whitechapel Art Gallery, London (1999), the National Galleries of Scotland, Edinburgh (1999), Fundação La Caixa, Barcelona (2000), Irish Museum of Modern Art, Dublin (2003), Kunsthaus Bregenz (2004) and the Kestnergesellschaft, Hannover (2004). Group shows include Museum of Contemporary Art, Los Angeles (2001), Kunsthalle Basel (2002), Louisiana Museum, Humlebæk (2004) and Tate Britain, London (2004). Accompanied by an adult, we’ll whisk you to meet the presenters – and you’ll even introduce a programme live on air. To enter, just tell us which Nick ‘toon stars Angelica and Chuckie and call 0901 380 1820. Is it a) Rugrats b) Ren and Stimpy or c) Hey Arnold? Meanwhile, Mega met Nickelodeon’s newest presenter, Dave Berry, 22, who joins hosts Mounya and Yolanda. Mega Mirror: How did you get your big TV break? Dave Berry: While I was working as a model I heard Nickelodeon were looking for a new presenter. Luckily I passed the audition. MM: Which Nick cartoon character would you be? MM: Who’s the most famous person you’ve interviewed? DB: Footballer Chris Powell who plays for Charlton and England. He’s my hero so I was very nervous. MM: What are your ambitions? DB: To finish this interview in one piece and then take over TV as we know it. This entry was posted on Saturday, July 24th, 2010 at 1:00 am	and is filed under Go See. You can follow any responses to this entry through the RSS 2.0 feed. You can leave a response, or trackback from your own site.